Having in previous articles demonstrated why we believe that engaging in social trading and especially doing so through the new eToro platform can greatly improve your chances to gain through online trading and would be undoubtedly beneficial to your overall trading experience and trading knowledge, in the lines that follow we will discuss how to effectively follow and copy the expert traders, or “popular investors” as they are called. Prefer to follow traders who are not novices, but preferably those who can demonstrate a long and proven track record of solid trading, which should be several months if not years long. Prefer short term traders or at least avoid those who leave their positions over for several weeks or months. Avoid traders who risk very big proportions of their balance on a single trade and prefer instead those who appear to be guided by a solid money management strategy and thus only allocate a small percentage per one trade. Avoid traders with large and sudden highs and lows in their performance graphs and prefer instead those with a consistent upwards trend, even if it is gradual. Avoid traders with extremely high winning ratios, those with 100% or over 90%, because this simply means that they are leaving all their positions open until they become profitable and if something goes wrong then this tactic can result in substantial losses for you if you decide to follow them and tie your trading to their decisions through the massive widening of their stop levels. Prefer the traders who use clearly defined stop levels set above or below trend lines that are derived from close market monitoring and not those who operate with arbitrary stops of a specific number of pips away. Prefer traders who demonstrate they are aware that not every trade can be successful and show they know when to timely cut their losses. Prefer the traders who seek to actively explain and communicate both the strategies they follow and their views on the market with the community and especially with their own followers, instead of those who avoid this kind of interaction and transparency. Avoid traders that trade in a large number of different instruments, asset types and markets and prefer instead those who focus on a few or even on a single one, since usually those who specialize in something specific attain better results. With these general rules or tips in mind, let us now have a look at some specific profiles of eToro Popular Investors which we would suggest you can copy and try out, first in a demo account before committing actual funds. The reference to specific traders is not an endorsement or an encouragement to follow the specific people but it is used for illustrative purposes to explain what you should look out for and how you can use the available information to shape an opinion on each of them, which is as accurate as possible. Once you learn how to interpret facts and evaluate the performance and trading methods of each trader then you can better and more effectively select and start following and copying those who are best suited to your own specific needs and preferences, those who are best suited to lead you to the attainment of your own specific investment goals. Venomt09 (Martin Tremblay) is an experienced trader, who has been trading on eToro for over 4 years. Over this period, his results had recorded considerable variation since he had a -70% in 2012, compared to an impressive 240% return in 2014, but it should be noted that they were achieved through high risk levels and drawdowns. Followed by a steadily growing number of copiers he mainly trades in currencies and tends to leave trades for an average of 1 week, which means he is not really a short term trader. However, what is most interesting in his case is the marked drop in his risk score, which as of April 2015 is at a maximum of 3. This is good because it means that the satisfactory returns that he has been achieving since came at a much lesser risk. Anna Serafini can be claimed to be one of the best performing traders in the two years that she has been trading on eToro with only a handful of months in the red and those by a single digit percentage, while her yearly profits were well above 70%. Fairly risky as a trader trading on a maximum drawdown that had reached 21%, she has nevertheless demonstrated adequately well risk management risks and the risks she did take have brought corresponding returns. She tends to leaver trades open for an average of 3.5 days, which is a relatively short time compared to most other traders. Nevertheless, in some of her trades we can see them stay open for months with widening stop levels. 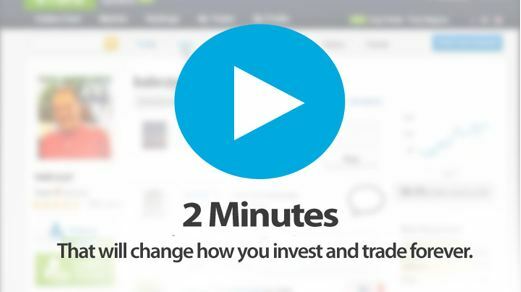 With an average trade duration of 2 days, 4exPirate is a prime example of short term trader and has been trading on eToro for more than 2 years. If once does not take into account the inconsistent performance recorded at the end of 2013 and the beginning of 2014, when perhaps the trading was done from a smaller account balance, the performance since then has been consistent, achieving contained losses and gains through a cautious money and risk management strategy. Especially when taking into account the relatively low drawdown associated with this trader the results over the past year or so can be deemed as more than decent. An experienced trader, based in the UK, Santoshtiwari has been in or near the top 5 most copied traders on eToro for the past years. This is mainly because her performance in terms of annual returns has been consistently good. Nevertheless, the same consistency is not present in her monthly results because she tends to be a long term trader with positions that are left open for long periods with gradually widening stop pip stop levels. Such a tactic elevates the risk level since it may lead to prolonged drawdowns and this makes many copiers bail out to escape. So far Santoshtiwari has always recovered from previous drawdown situations, but it should be stressed that there is absolutely no guarantee that this will always be the case in the future. The example of Santoshtiwari highlights the significance than timing may have on your decision to follow a long term trader on eToro. In order to spread out the risk of your allocated amount remaining locked on trades that are open for a long time it is perhaps best to phase your investment on such traders over a period of time, since it is extremely difficult to be sure when the best entry point is , when following a trader like that. Concluding, it should be stressed once again that past performance is no guarantee and at times not even an indication of future performance. So always tread with caution and avoid investing sums that you cannot afford to lose. 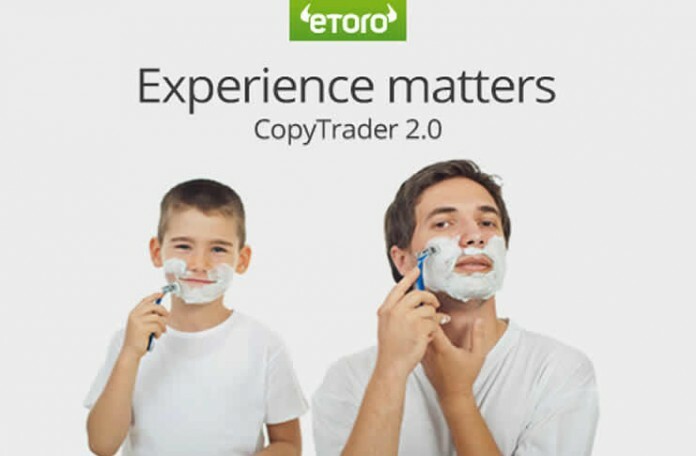 However, if you do master it right then copying the right traders on eToro could potentially be very effective and beneficial for your own trading ventures. Next articleWhat is social trading?